The O.S. 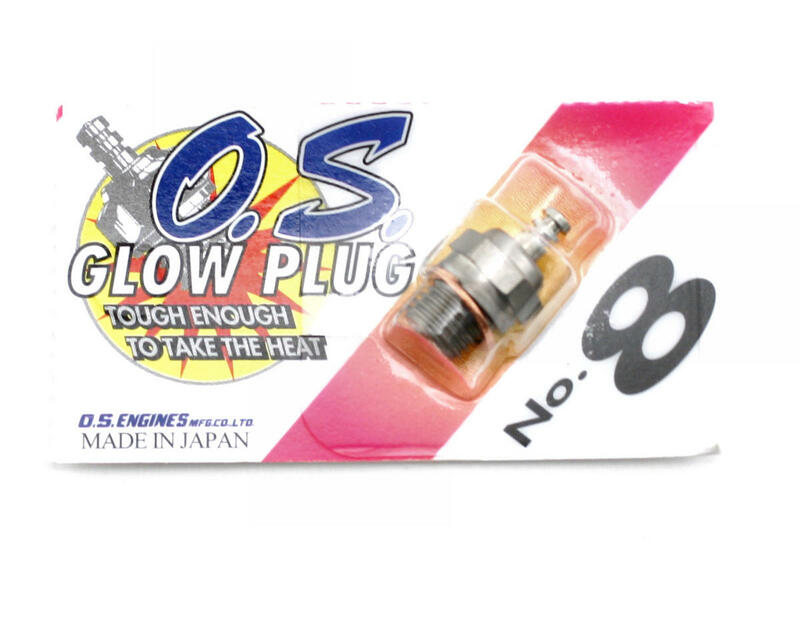 #8 glow plug is the most widely used O.S. glow plug for O.S. engines. Recommended for most current O.S. (and other brands of) 2-stroke R/C engines. Note that O.S. engine plugs are SHORT body plugs and should only be used in engines that require a short body plug. O.S. plugs should not be used in Novarossi, RB Concept and most other motors manufactured in Europe. When I got back into flying, this was the plug recommended for most of my OS aircraft engines. S I M P L Y A W E S O M E ! ! ! ! ! ! ! Use this plug for two years and I don't have any problems. if you want to spend your money buy this glow plug , DON'T BUY.